Facebook will still push HTML5 innovation, but stripping it out to speed up the Facebook for iOS app has been very successful. Half of its iOS users updated their apps in just four days, and its App Store review average has risen from 1.5 stars to 4 stars in just three weeks since relaunch, Facebook told reporters at its headquarters today. Mobile product manager Mick Johnson echoed CEO Mark Zuckerberg’s TechCrunch Disrupt talk, saying that iOS users with the update now consume twice as many news feed stories, and that means twice as many opportunities to show them news feed ads. 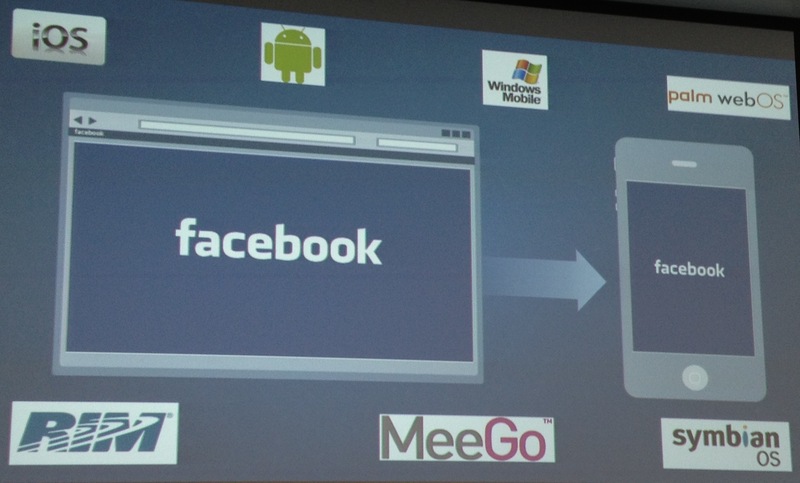 Johnson discussed the mistake of building Facebook’s mobile apps around HTML5. “When we embedded it in our native apps, the performance wasn’t what our users expected or what were happy with either. The features were there, but it didn’t feel like the experience we wanted to use, that wanted to build.” Still, he says, “I’m long-term bullish on HTLM5 for everything” indicating Facebook may come back to HTML5 once it improves, and will continue relying on it to reach the long-tail of mobile, especially abroad. Facebook platform head Doug Purdy explained that “People think ‘it’s HTML5 or Native’, but its ‘And’.” That’s because the HTML5-powered m.facebook.com is critical for dealing with mobile fragmentation. “There’s no way we’re gong to build native applications for 7,000 devices,” Purdy said. That’s why it will continue pushing mobile browser vendors to use its Ringmark HTML5 testing standard and improve camera access, graphics, and speed. But until the relaunch, the HTML5 slowness of launching the native iOS app, browsing the feed, and viewing photos was dragging down its review, but also frustrating users such that they’d exit the app prematurely or not open it when they only had a moment. That meant less content being generated, fewer notifications that drive return visits being sent, and less time spent viewing the news feed. Since Facebook is trying to become a mobile advertising company, and those ads are shown in the news feed, slowness translated into missing revenue. The product manager for photos says users are happier and share more photos with the new iOS app, while Johnson says it feels much more alive. I feel it, too. I’m more likely to whip out Facebook when I’m standing in line at a cafe or have a spare 30 seconds somewhere else, not just when I know I have multiple minutes to wait for it to load up the news feed. 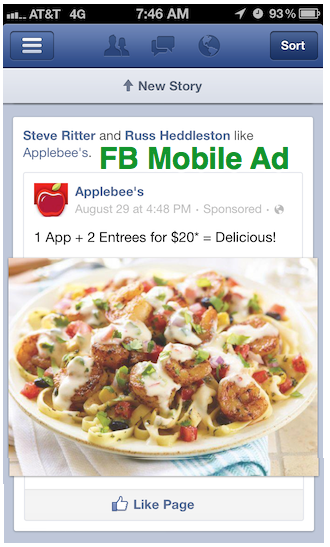 Those extra sessions let Facebook serve me more ads about Pages my friends have liked or apps they’re using. The feedback that Facebook is receiving has changed. Before people simply demanded the app get faster, and now they’re essentially saying that it works well, but here are the new features they want. That fresh insight will help Facebook continue to improve the app. In fact, Johnson said Facebook is now moving to a two-month release cycle for iOS and a one-month cycle for Android.